In addition to serving as an assistant coach to Pop Warner and teaching art at Carlisle, he illustrated their literary magazine and ephemera. He and his first wife, the noted Winnebago artist Angel DeCora, also raised prize-winning Russian Wolfhounds in a kennel behind their apartment on Carlisle Barracks. At Washington State College, in addition to coaching the football team, Dietz arranged songs and sang baritone while touring the state with the college’s chorus. He also gave talks to classes on topics such as architecture. 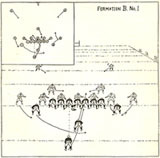 Prior to arriving in Pasadena for the 1916 Rose Bowl, he arranged for his team to portray the football team in Tom Brown at Harvard and for a small role in the picture for himself. When his team returned to Pullman after the victory, he stayed on in Hollywood to arrange more picture work for himself. The article Mr. Kerschner referred to in his piece listed three films Dietz had been in, one of which I hadn’t heard of before, The Love Hermit. 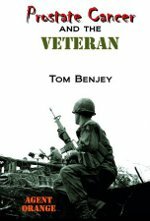 It also credited him with writing the story for Lonestar, but couldn’t appear in the movie because it was filmed during football season. 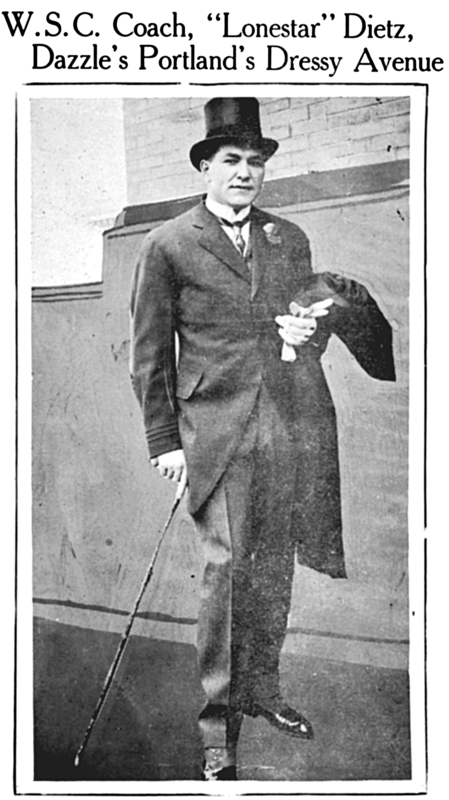 The article also provides some information about Dietz’s Vaudeville career: “The rapid progress that is being made by your company here in Spokane toward the production of motion pictures has made me willing to change from my previously announced plan to spend the coming year on the vaudeville circuit.” More research is required to uncover exactly which talents he would have employed in his act. Now to figure out how to search News.Google.com for articles not on-line when I spent numerous hours hunched over microfilm reading machines. Yesterday’s edition of Indian Country Today includes an article by Jack McNeel on Lone Star Dietz. The headline, which probably wasn’t written by Mr. McNeel, understandably focuses on Dietz’s posthumous induction recently into the College Football Hall of Fame. But the article covers more than that. He covered as much of Dietz’s highly eventful life as space would allow. Something I particularly like is that McNeely chose to use a photograph of Dietz with the Washington State team that isn’t widely used. It’s nice to see something you haven’t seen before. In this case, I probably saw it briefly when going through the Washington State photo archives some years ago but didn’t remember seeing it. There are a few things in the article that need a little bit of clarification. First, Tournament of Roses wasn’t arranging its annual football game in the fall of 1915 because they had only hosted a game once before and that was back in 1902. The Washington State victory over Brown in 1916 was what established the game as an annual event and much of the credit for that goes to Lone Star Dietz for putting West Coast football on the same level as the eastern powers. The statement, “Soon after, many college sports were suspended for World War I,” may compress the timeframe too much for readers unaware of what happened during that period. Dietz’s men lost two games in 1916 and were undefeated again in 1917 but weren’t invited to Pasadena because of the popularity of military teams. 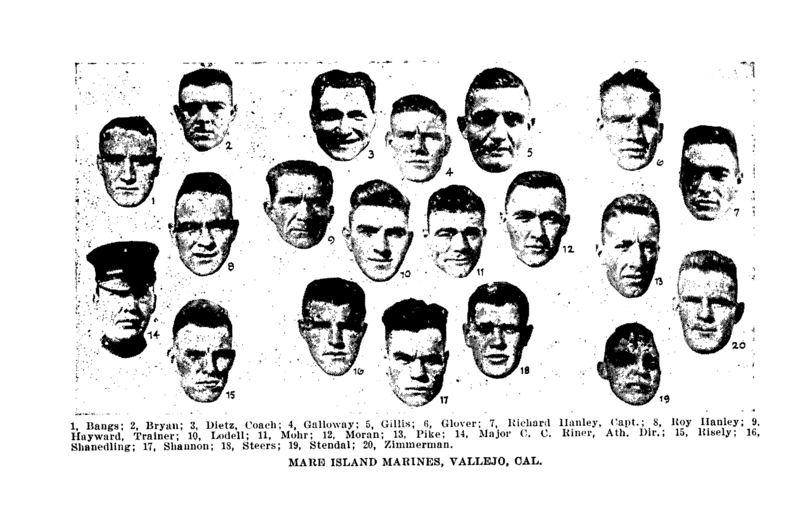 It was after the 1917 season that college sports were curtailed freeing Dietz to coach many of his former players on the Mare Island Marines team. 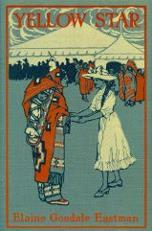 The phrase “Indian agent from the Sioux Nation” may be misleading and cause unfamiliar readers to think the agent was an Indian. 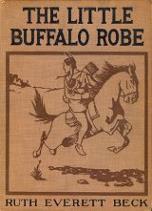 The agent was a white man assigned to the Pine Ridge Agency, one of several reservations on which Sioux live. “Benjey’s research indicates that Dietz’s father took the dead baby…” would more accurately be phrased, Benjey’s research indicates that Dietz’s father claimed to have taken the dead baby…. 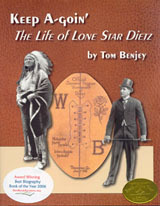 However, W. W. Deitz (he spelled his name differently that Lone Star spelled it) denied that publicly. A combination of beastly hot weather that drained my energy coupled with being overwhelmed with work to get out has kept me away from my blog recently. I hope things let up for the rest of the summer. Yesterday, I received a question regarding when the Washington State teams were first called Cougars. 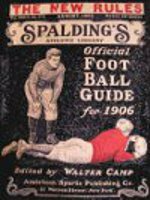 That person wanted to know if the 1918 Spalding’s Guide referred to the 1917 WSC as Cougars. It didn’t, but didn’t call most teams by their nicknames, either. Washington State lore places the origin of the use of that name for their teams to an unnamed Bay Area sportswriter who wrote that the WSC team “played like Cougars” in their October 25, 1919 game with Cal, the second game played under Gus Welch’s leadership. A quick scan of newspapers of that time uncovered a short article in the October 25, 1919 Oakland Tribune stated “Washington State College, the Cougars, meets the University of California here today….” The post-game coverage written by Doug Montell did not use Cougars or any other nickname for the WSC team although it did refer to the California team as the Bears. Even if Montell had called them Cougars, the WSC team couldn’t have been dubbed with that name for its play against Cal because some unnamed person at the Oakland Tribune called them that before the game was played. Regardless, this wasn’t the first time a college team in the state of Washington took that name. The March 17, 1918 edition of the Oakland Tribune (yes, it was that same paper again) included an anonymous piece stating that the University of Washington had officially named its teams Cougars. So, a year and a half before the Tribune called the WSC team Cougars, it claimed that Washington had claimed the name. Perhaps someone in the Tribune’s sports department had a feline fetish.